Even though it was snowing in Buffalo at the end of April, I’m still trying to get into the spirit of Spring. One of my favorite fabrics during the season is the multi-checks Madras which tend to show up on shorts, pants and sport coats. I thought it would make a splendid addition to the Buffalo Dandy Bow Tie Collection even though the fabric was somewhat difficult to work with. After some re-adjusting and multiple re-ties I got the patterns to where I liked them and ended up with a stellar Spring Bow Tie. 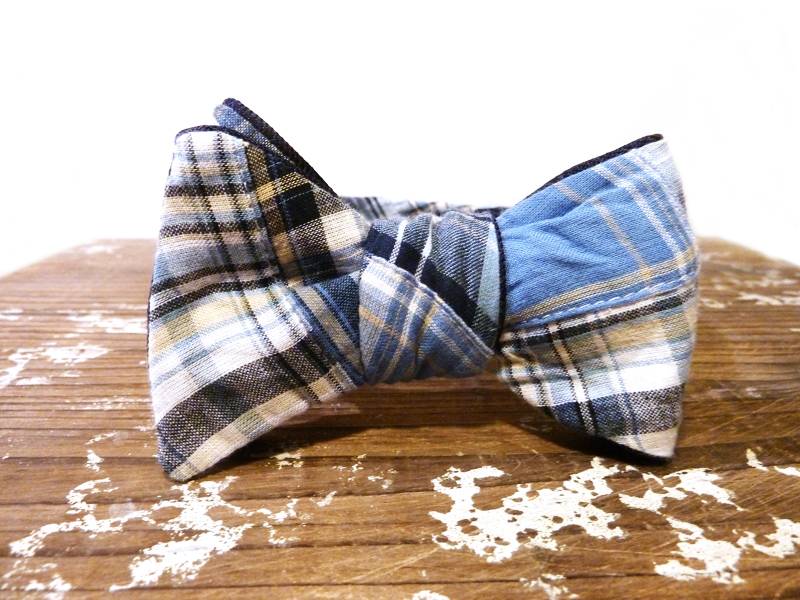 Another brilliant bespoke bow tie, sir!